News of Innovative Securities - Will Trump’s new plan bring money back to the US? Donald Trump announced his new tax plans, which could give an answer to the long-awaited question: how to make US corporate giants bring home their money kept abroad? 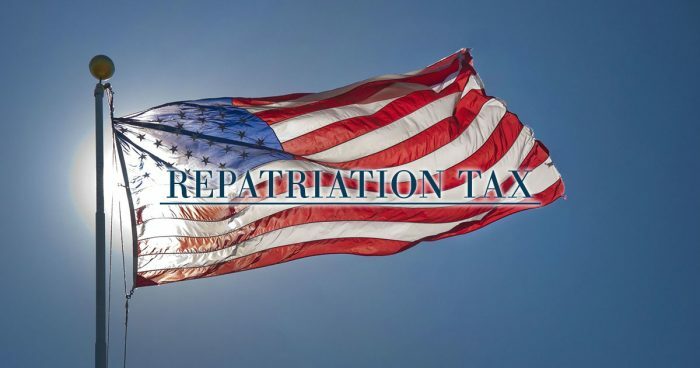 Estimates show that thanks to a new one-time tax, companies could repatriate $250 billion. The president of the United States promised in February that he will do his best to bring corporate money kept in tax havens back to the US. Now he made his move and showed his plans. On the one hand, he’s planning to lower corporate taxes, but what’s more important, the government is also planning to create a one-time repatriation tax. This would help companies to bring their money to the US for a one-time 10% fee, which is a lot lower than the base 39% corporate tax rate of the country. According to Bloomberg, Goldman Sachs estimates that S&P500 companies keep a total of $920 billion abroad. Now thanks to the one-time tax $250 billion could be repatriated. By the numbers of Citigroup, a total of $2.5 trillion could be kept abroad by all US companies, so the sum brought back home may be even higher. The leaders in this area may be tech-giants: the top companies in the field kept $548 billion in 2014 alone, and the numbers went higher since then. Apple is a record holder, it had $181 billion in 2014, but now it could be closer to $220 billion. Other companies are far behind them, but still have great amounts of cash in other countries. Why does the US want this money so bad? On the one hand, it’s a serious one-time tax income for them. Even the expected 10% rate would make a great impact on the budget. But it’s not only about this one occasion: every country wants their companies to pay taxes at home. On the other hand, this $250 billion could be invested in the United States. Some companies may use it to buy their own stocks, and that would greatly stabilize and help stock markets. They could also use it for investments like real estate, which is also generally good for the economy. Where is the money now exactly? Where is this money now? Basically, in countries with special laws like Ireland. The local laws allow Irish companies to be tax residents in different countries, even tax havens. The method used by big companies needs two Irish companies (that’s why it’s called Double Irish), one of them is tax resident in a tax haven, the other one is tax resident in Ireland. The first has the non- U.S. rights of the main company and licenses it to the “real” Irish company for royalties or other fees. To put it simply: the “real” company earns the money using the licenses, but it also pays expenses to the tax haven company, which is the holder of the rights. This way, the “real” Irish company generates tax-deductible expenses, and it will only have to pay a 12.5% of tax after the remaining money which is not transferred to the tax haven company. Ireland always rejects to be called a tax haven, but it still has low rates and special rules compared to other countries. If you want to know more about tax havens, we wrote about them in this article: Where does the money go?